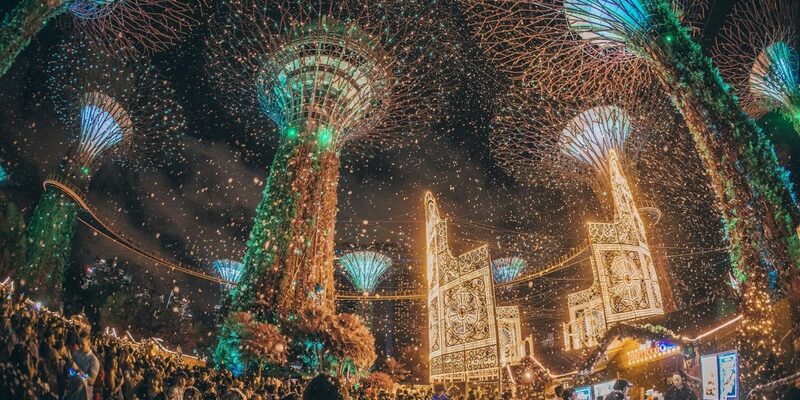 CHRISTMAS WONDERLAND at Gardens by the Bay continues to light up this Holiday season as it welcomes visitors from all over the globe, today until December 26, 2018. The inception of this event since 2014 attracted almost 3.5 million spectators. Everyone can now witness the seven-storey high stunner, luminarie mirror maze which is designed and handmade by Italian craftsmen using white wood from the south of Italy, making them one-of-a-kind pieces exclusively for show only at this year’s edition. 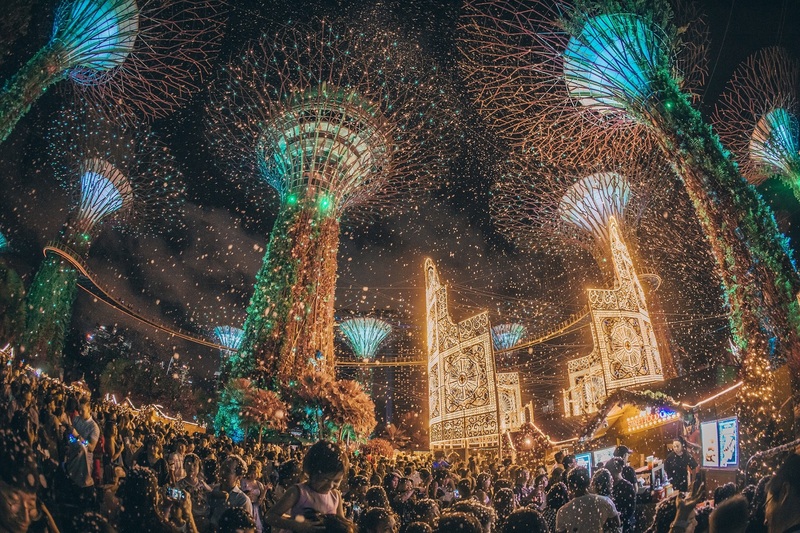 There’s also a spectacular magic show by world-class illusionist Rob Lake and a brand-new Garden Rhapsody – The Christmas Special light and sound show at the Supertree Grove as well. Christmas Wonderland famous attractions include a more extravagant Santa’s Grotto which showcases mesmerizing kinetic light installation from Germany, Singapore’s largest outdoor skating rink specially flown in for this event all the way from Switzerland and let us not forget the crowd-favorite Blizzard Time, wherein we can experience snow even though we are here in the tropics. 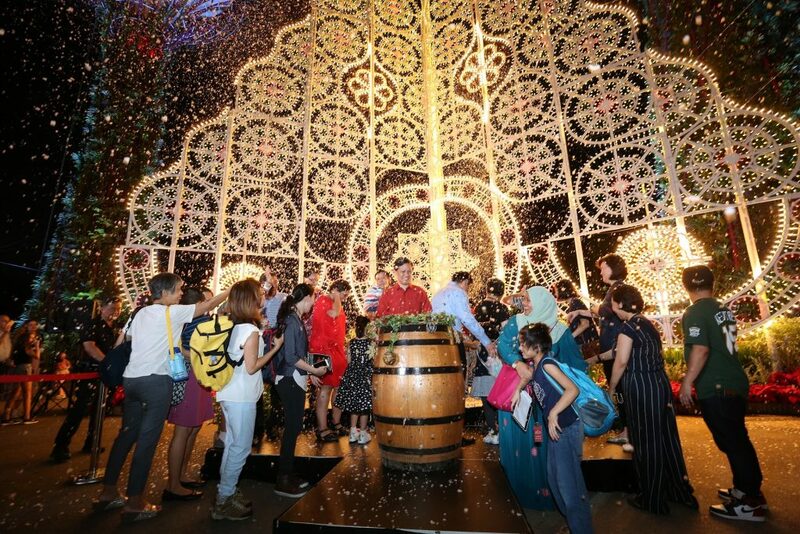 The event was officially commenced as Asia’s tallest luminarie Christmas tree located at the entrance of Gardens by the Bay was lit up by the by Guest-of-honor Mr. Chan Chun Sing, Minister for Trade and Industry for Singapore, alongside representatives Mr. Chaly Mah, Chairman of Singapore Tourism Board, Ms. Sarah Martin, Creative Director of Blue Sky Events, Mr Niam Chiang Meng, Chairman of Gardens by the Bay and Mr. Felix Loh, CEO of Gardens by the Bay. Christmas Wonderland’s official adopted charity, Pathlight School, was represented also by students and Ms. Loy Sheau Mei, Senior Vice Principal. As you stroll, at the carnival rides and games have a chance to be serenaded by Yuletide Sessions featuring a myriad of local talents including Joanna Dong, Rani Singam and Andrew Lim as well. 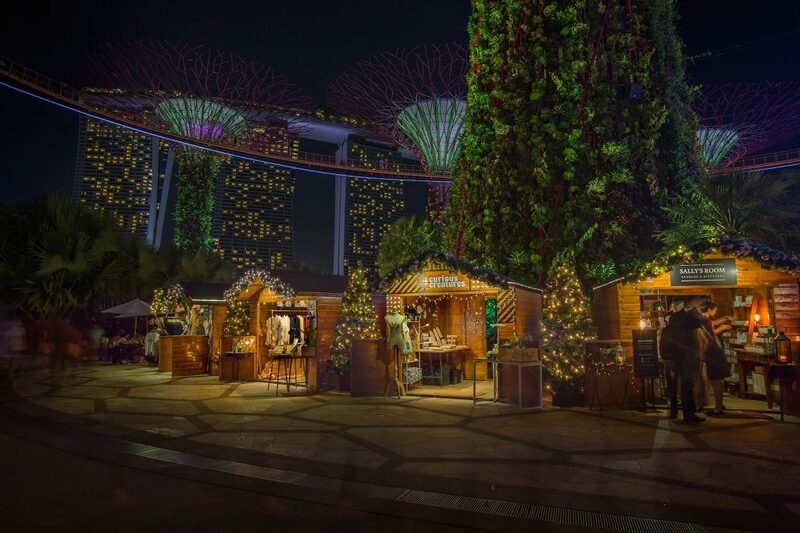 What’s more exciting are the unique gifts and treats that are also available at the Festive Market. Wherein, everyone can choose from a variety of exciting dishes from ‘Slice of SAVOUR’. Price ranges from $4 if purchased online from November 30 to December 6 and $6 if purchased onsite, for December 7 to 13 tickets are for sale for $6 online and $8 onsite, and for December 14 to 26 tickets can be purchased for $8 online and $10 onsite. 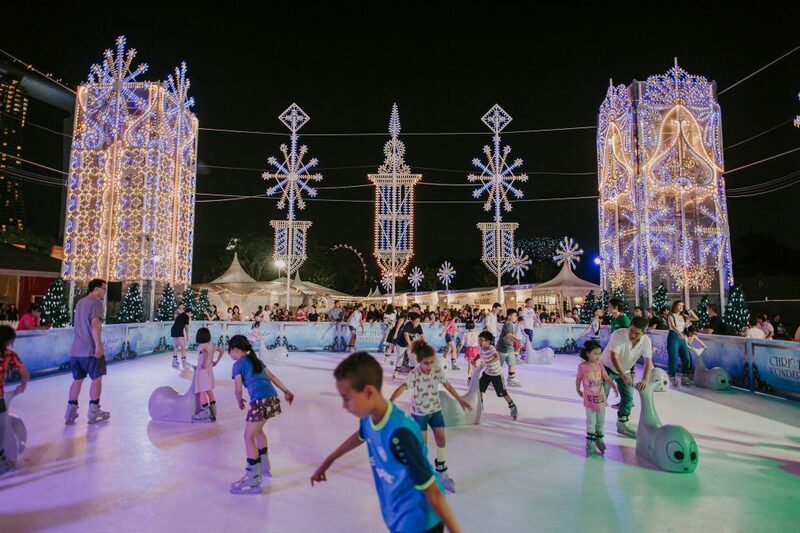 Enjoy the sights and sounds in this Christmas Wonderland and experience truly authentic holiday festivities with your loved ones. 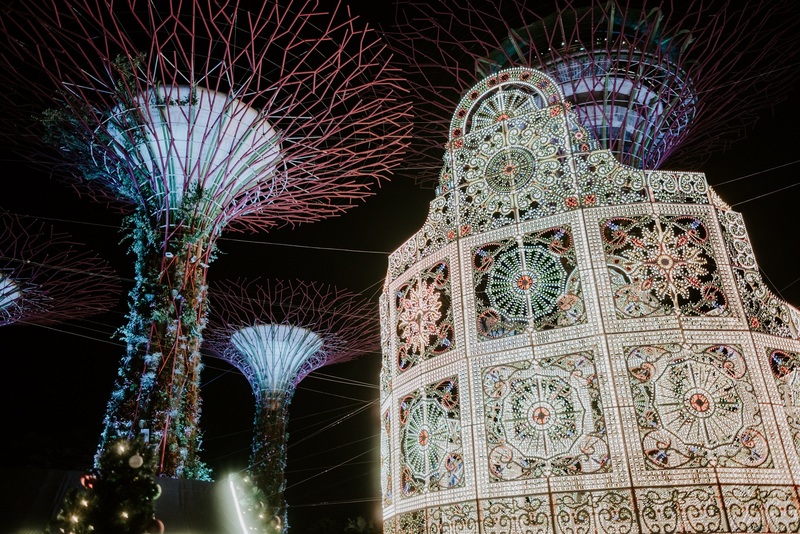 The Singapore Garden Festival Orchid Show is back!